From the new finds to the reinvented old favorites you will find it all here! We would dare say that we are not only speaking for ourselves but for many others as well when we say that we greatly prefer recipes that are easy to follow, clearly written and explained, and that aren’t horrendously difficult to make. It’s also helpful to have recipes that use ‘normal’ ingredients, not some sort of special gourmet ingredient rarely found in the average home or grocery store (not to say that we’re above sending you out to the Asian Market or local Natural Foods Co-Op). While it is certainly nice to try unique things now and then, but no one wants to do that every day for every meal. 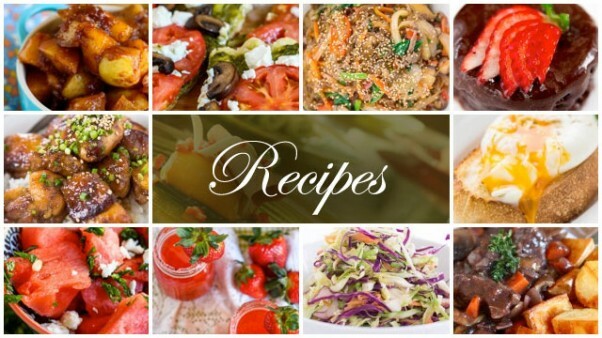 If you are like most of us and you find yourself searching Pinterest or grabbing a cookbook for last-minute ideas, you don’t have time to go to five different stores, you want recipes that use what you have on hand and what you can find in Kroger’s. We’ve tried to put ourselves in your position when creating an online recipes by including all the things you’ll need to know. Come on in, bring your appetites and taste buds with you and have fun!